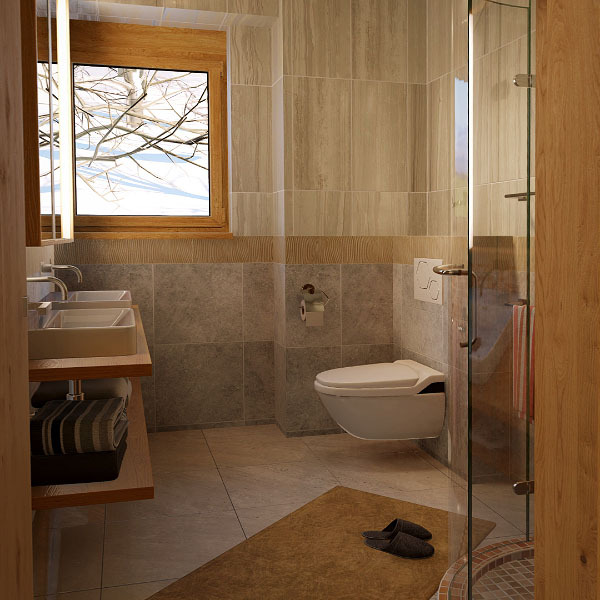 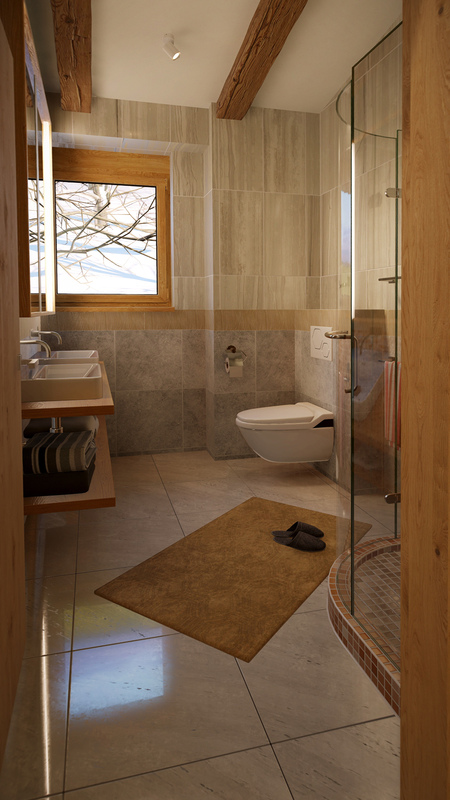 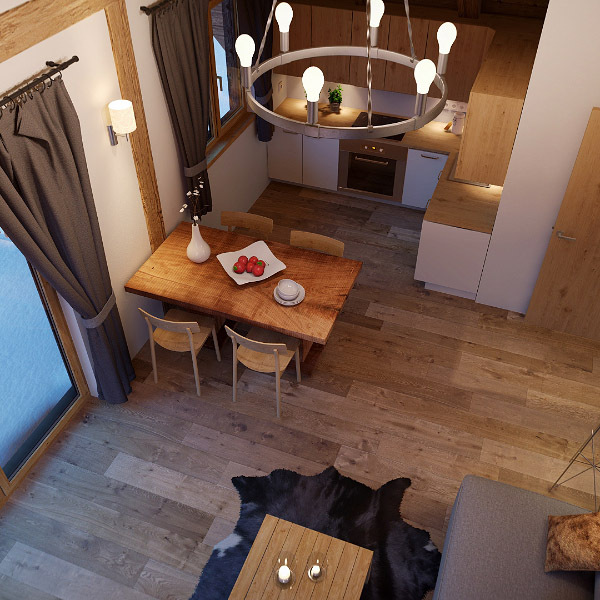 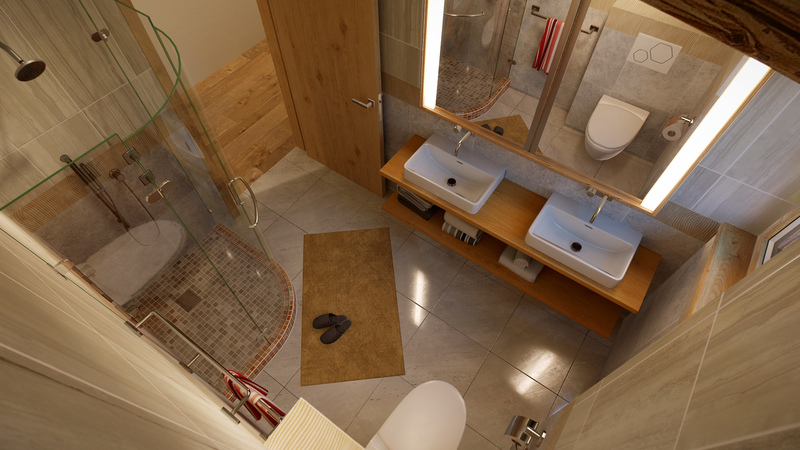 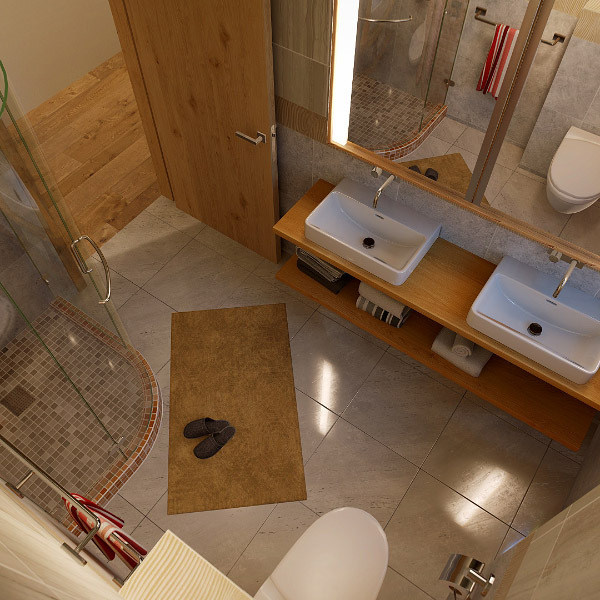 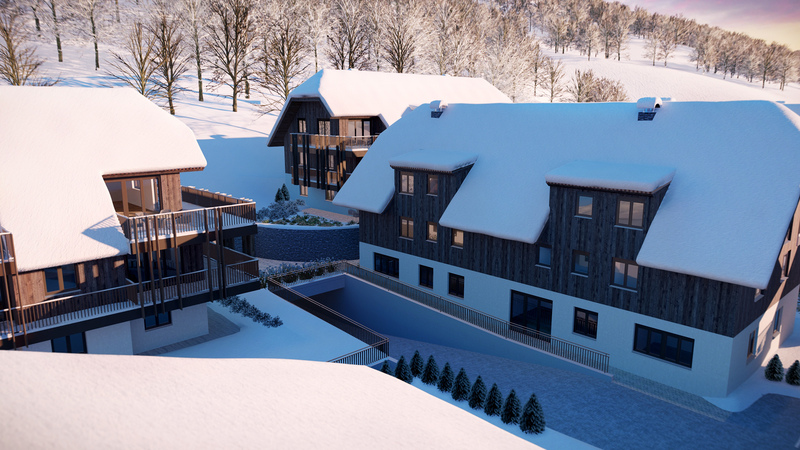 Before starting with designing the project we needed to focus on the surrounding, the mountains and destination itself. 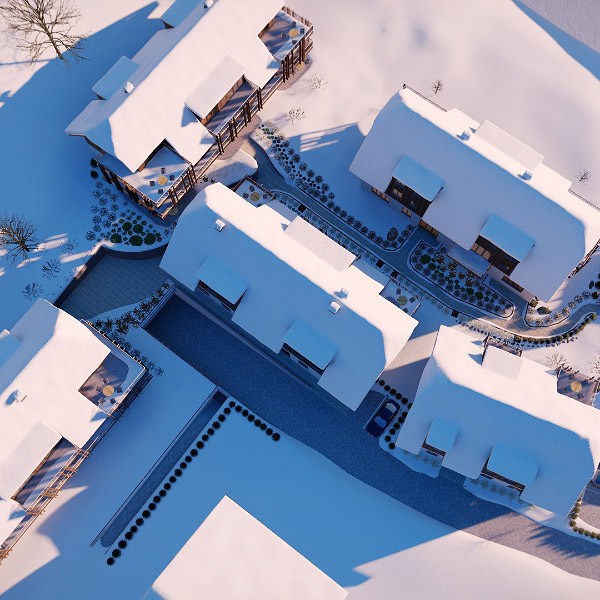 Our main goal was to create an almost real environment which is seen especially in the intro of video.Secondly we thought it must been shown how the two different seasons effects on the project: Summer and Winter. 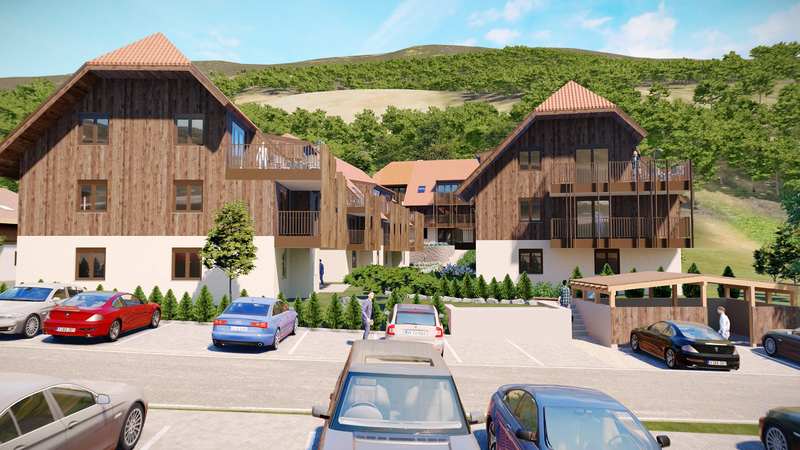 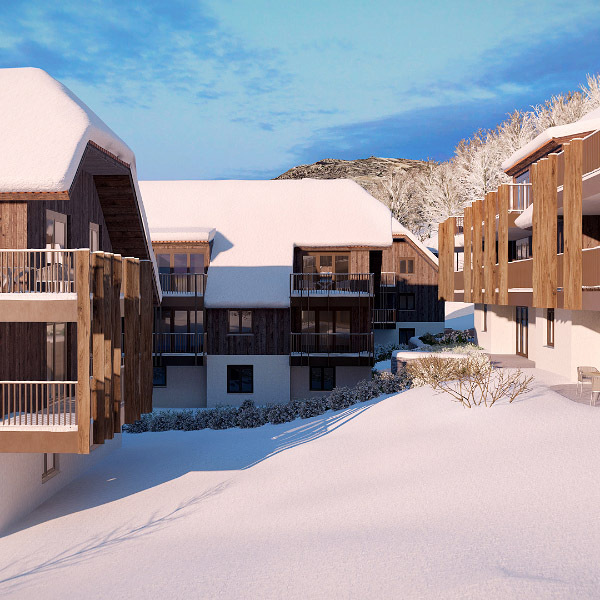 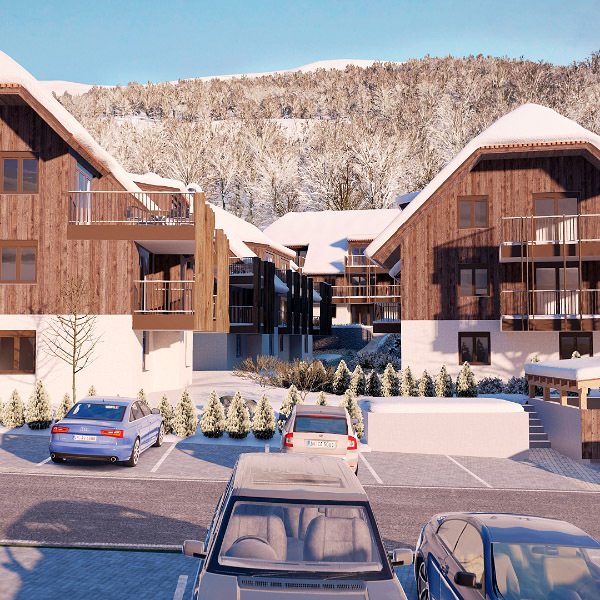 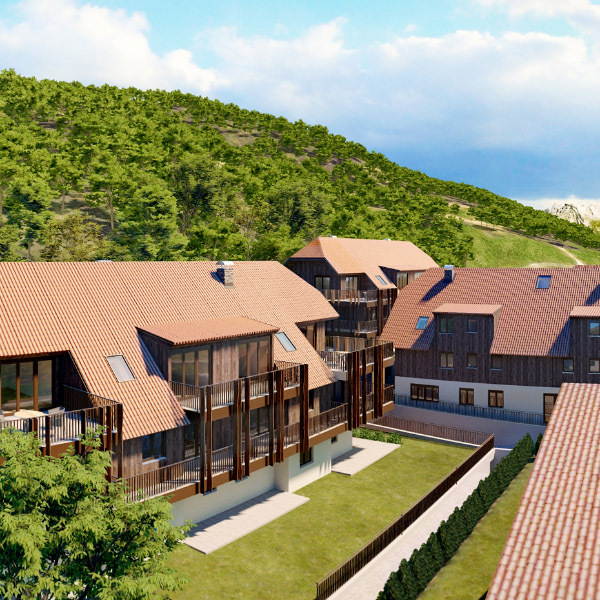 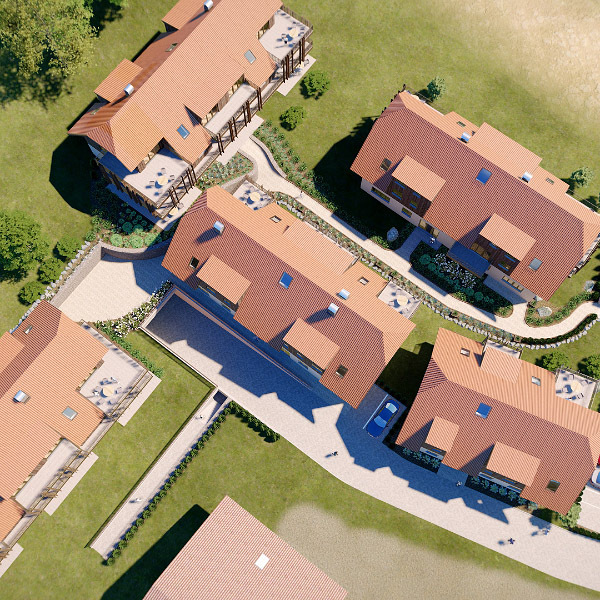 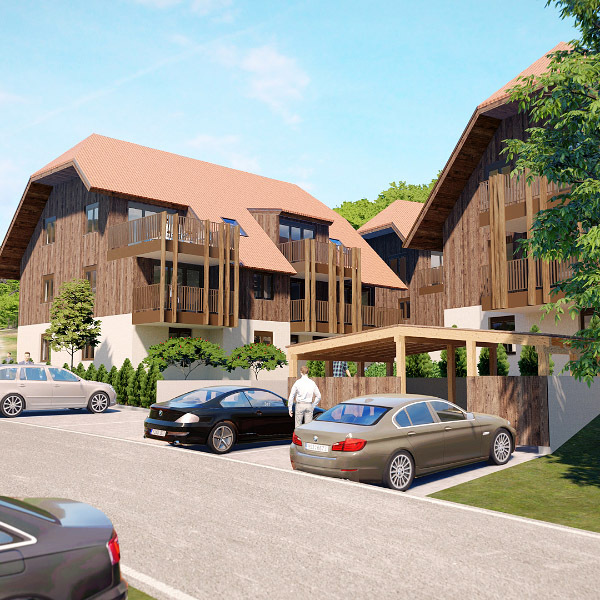 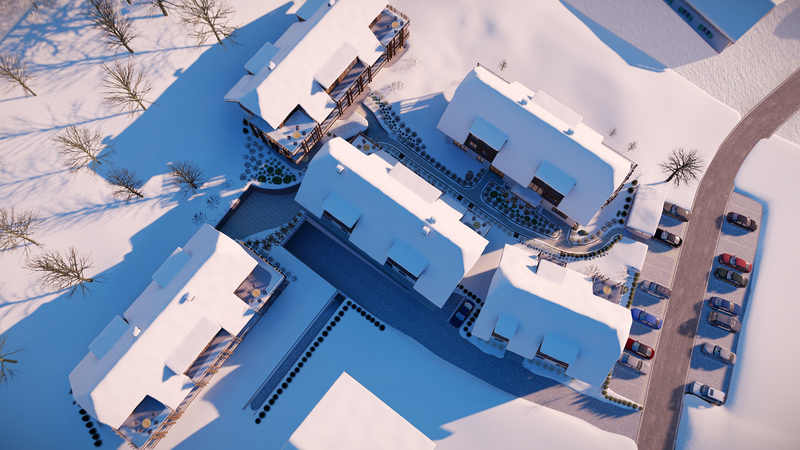 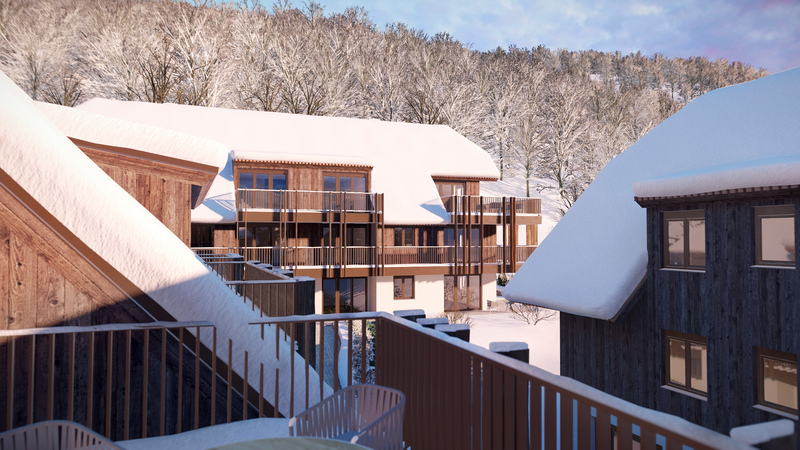 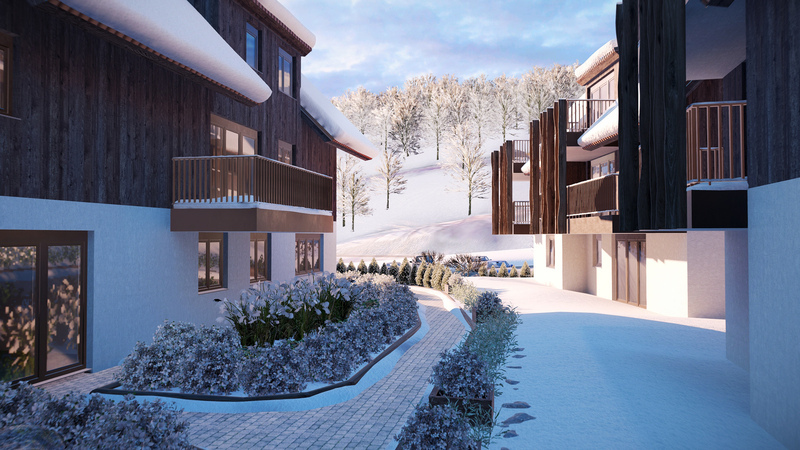 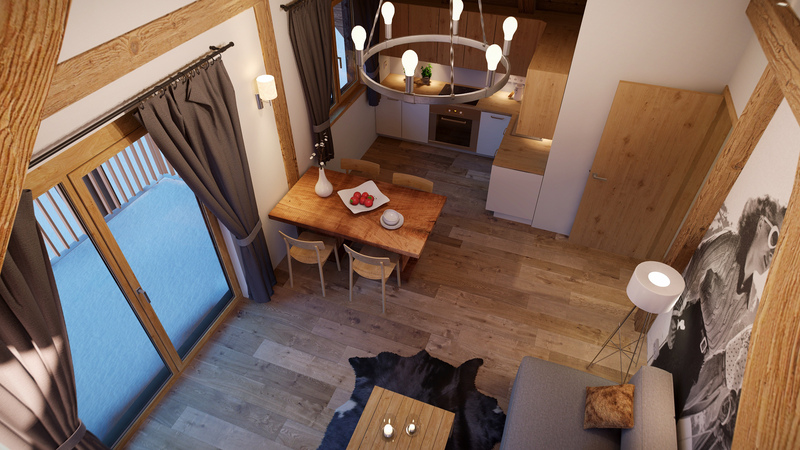 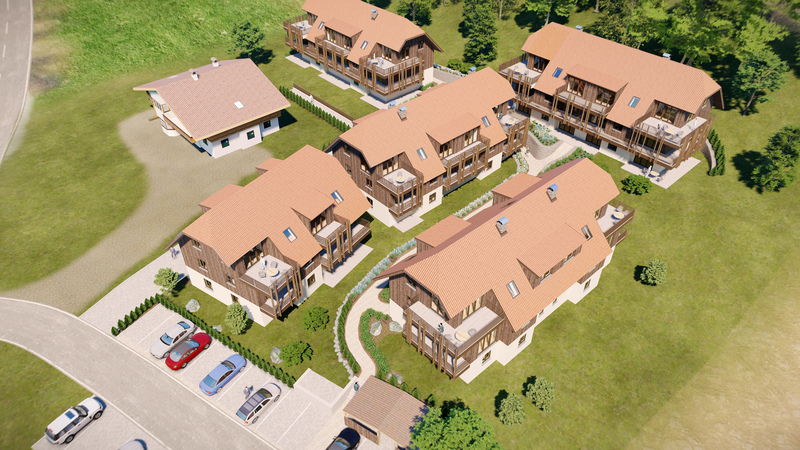 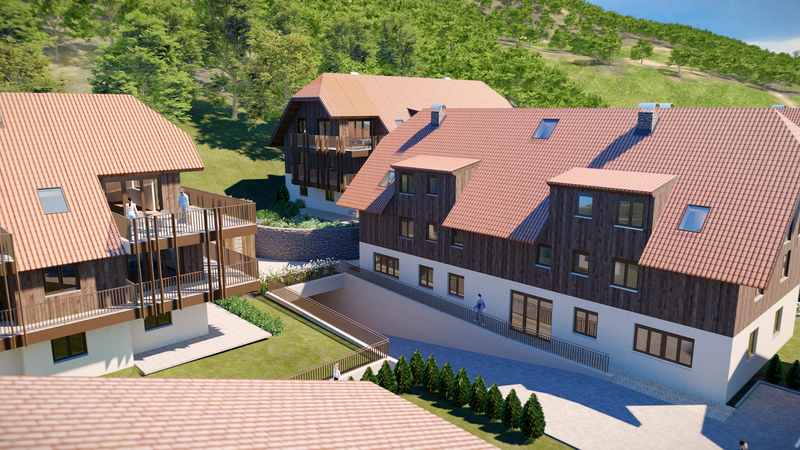 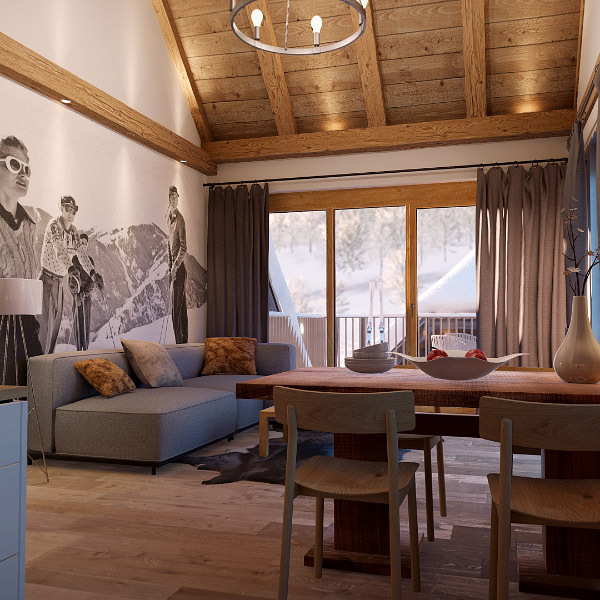 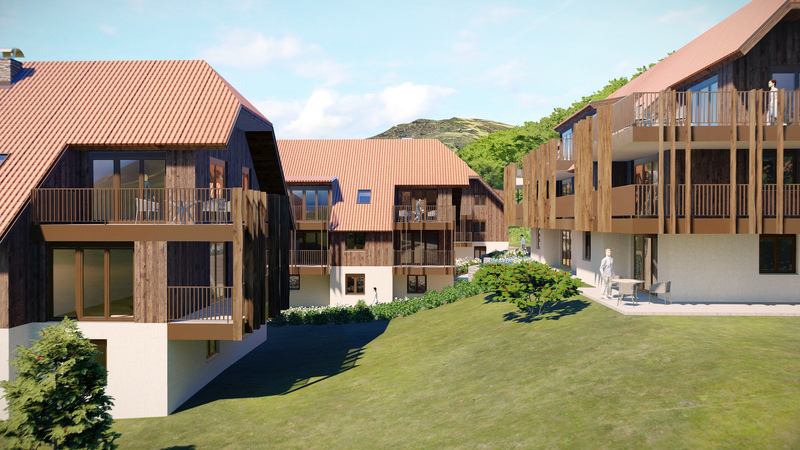 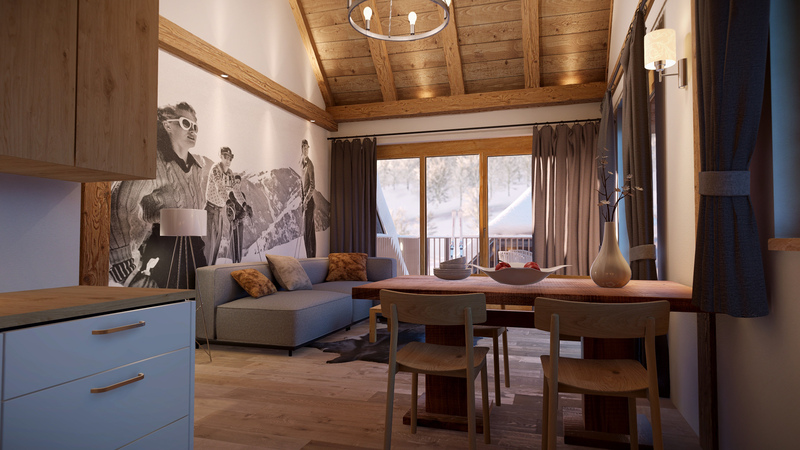 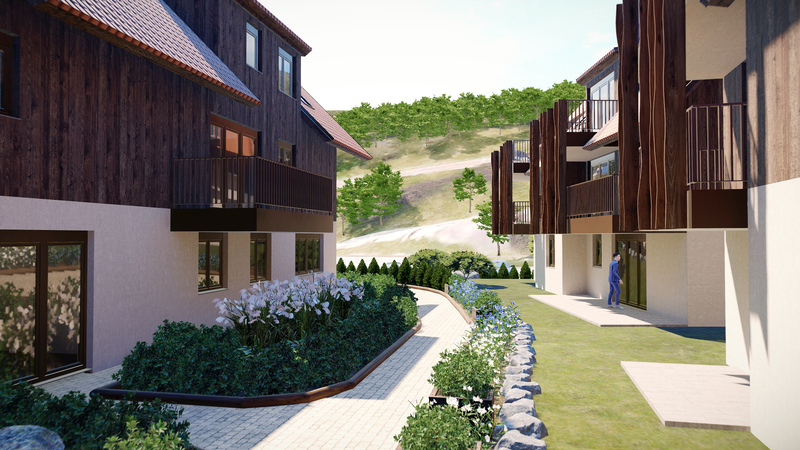 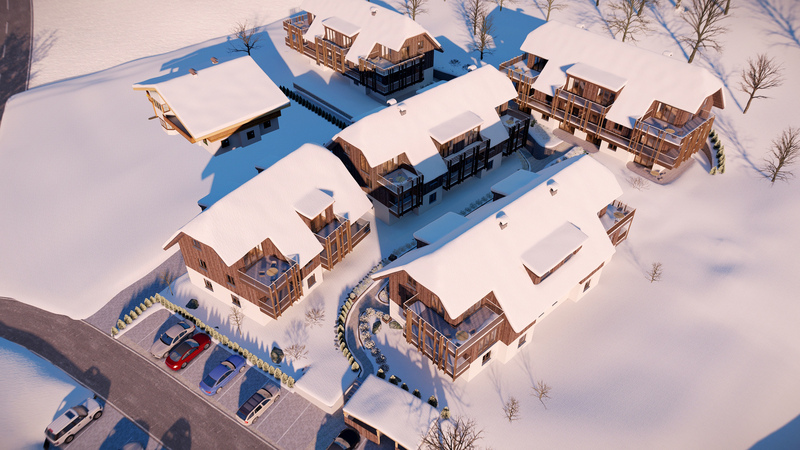 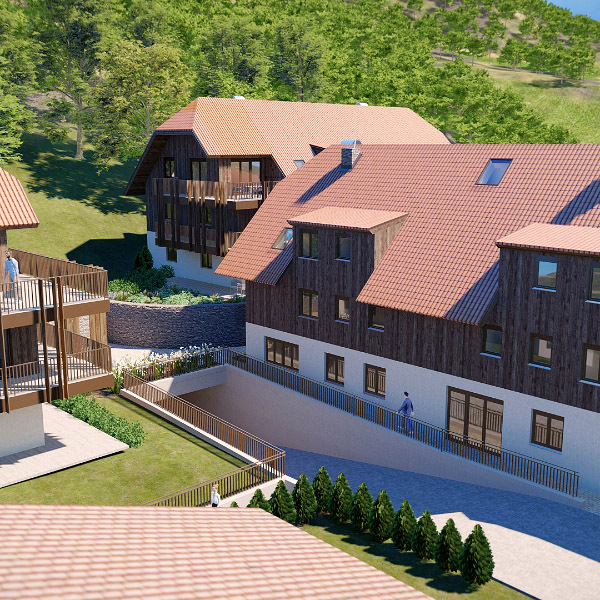 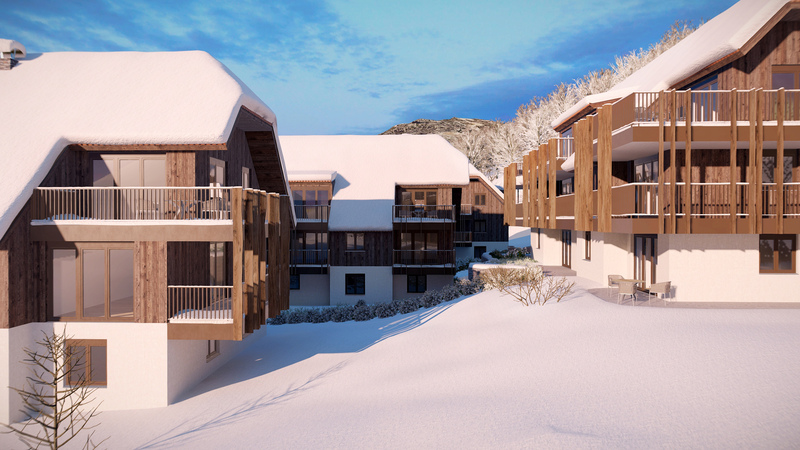 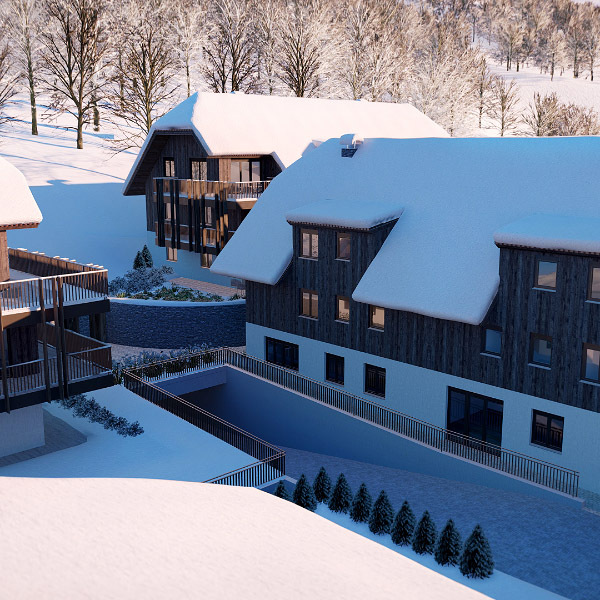 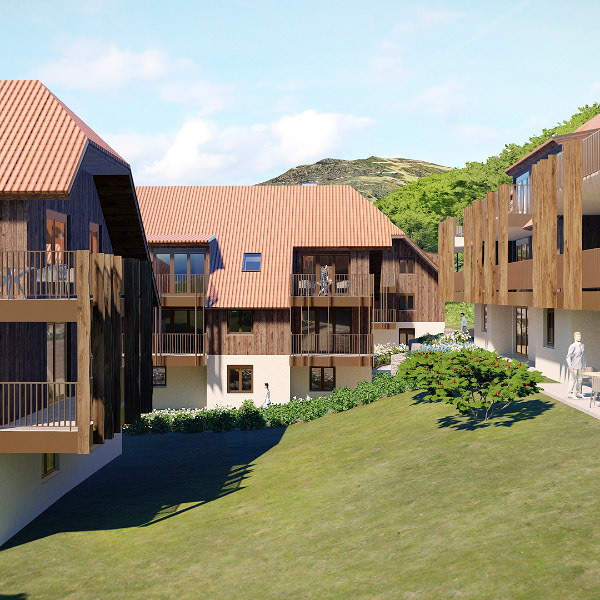 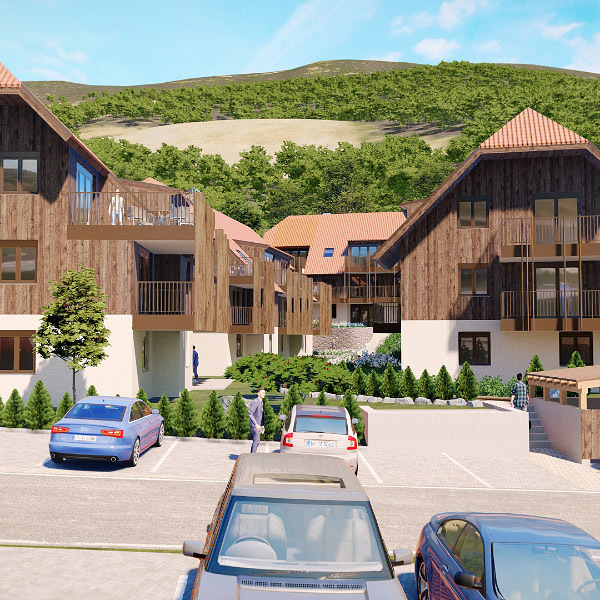 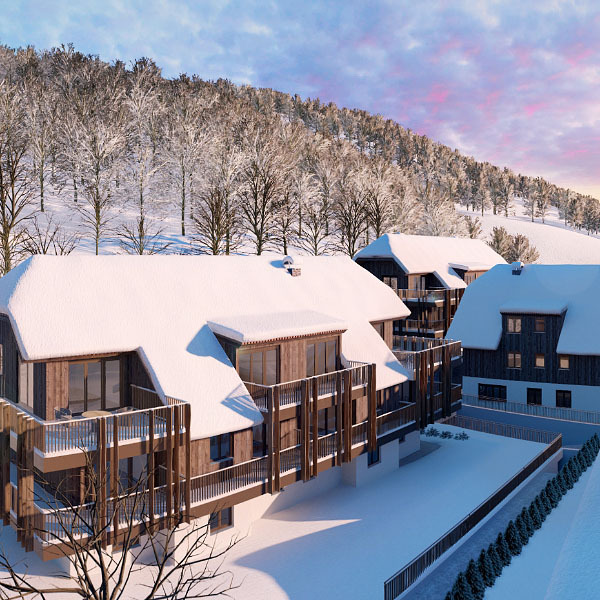 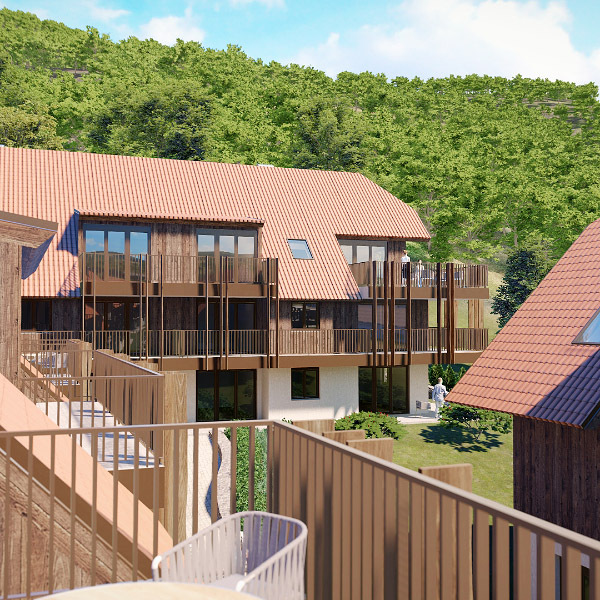 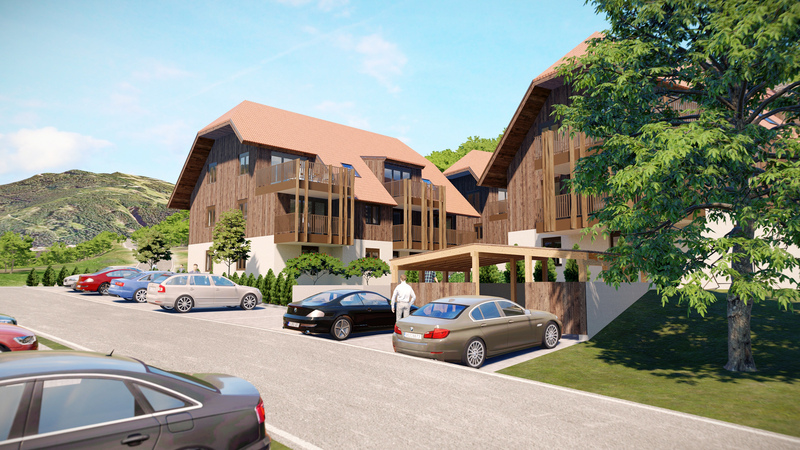 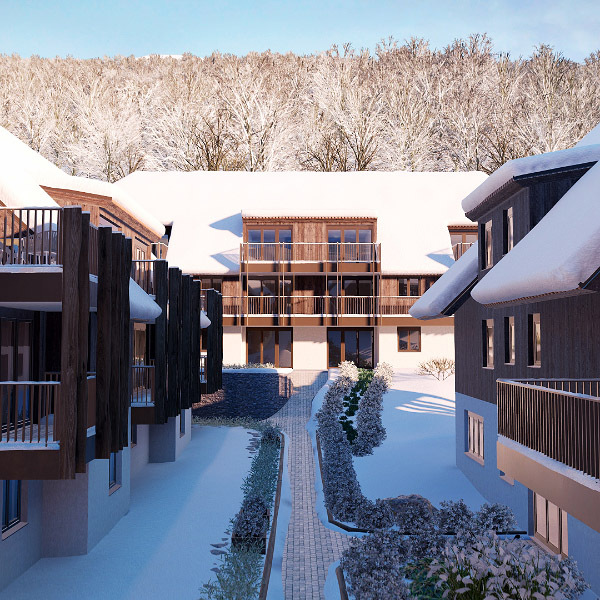 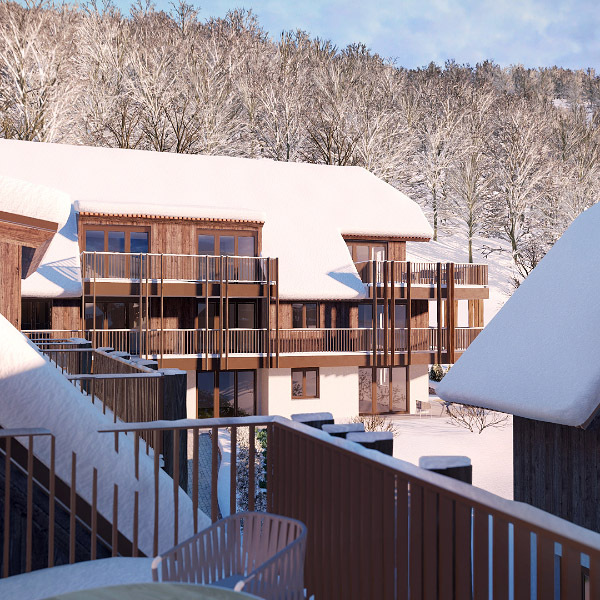 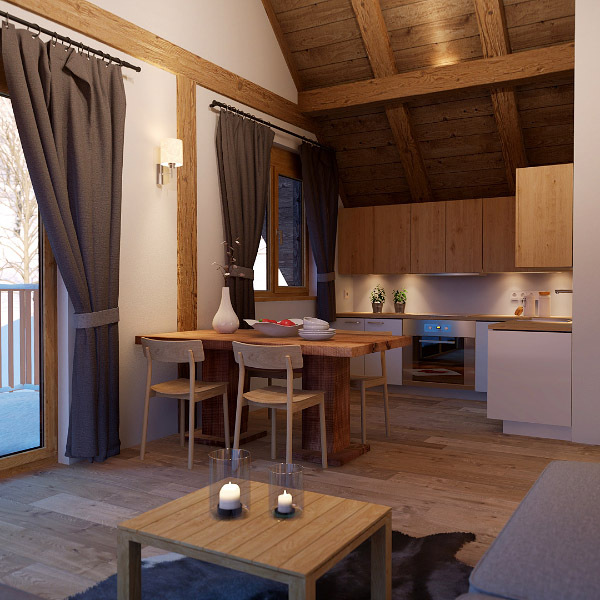 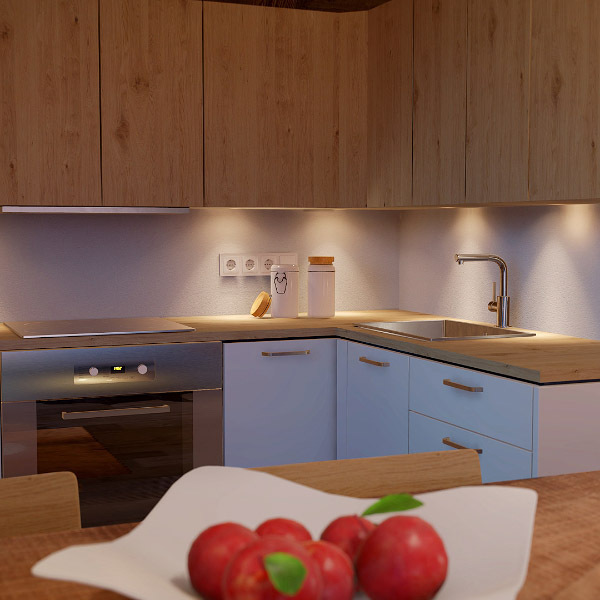 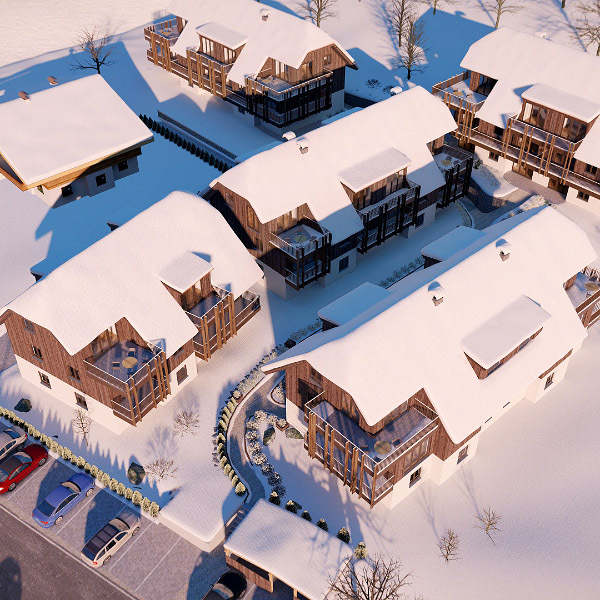 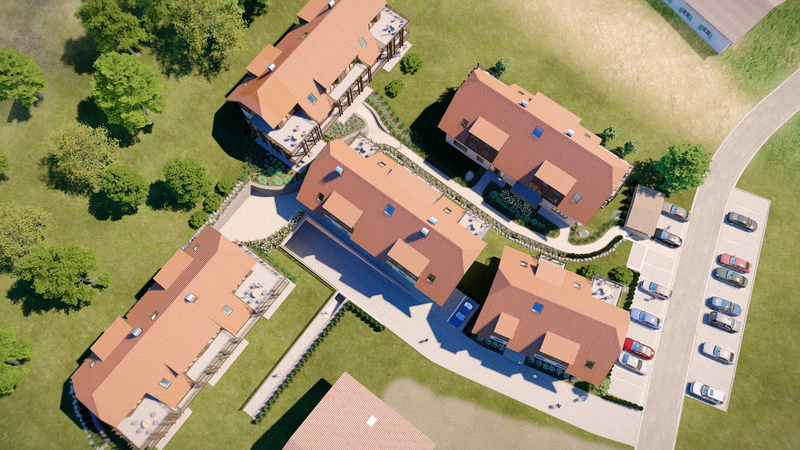 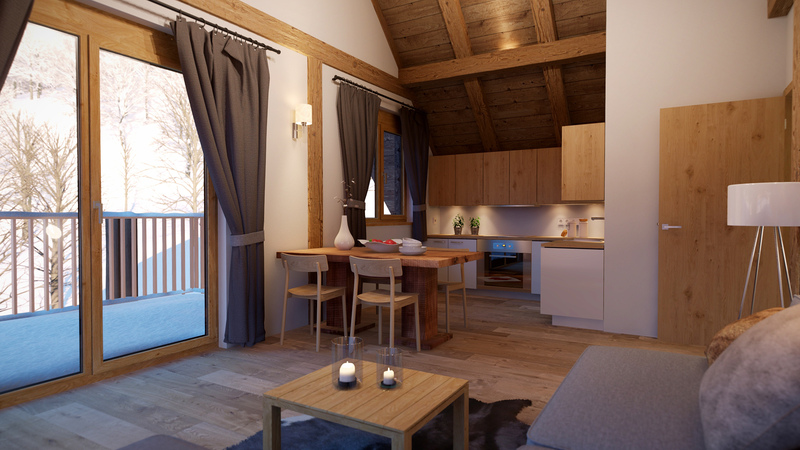 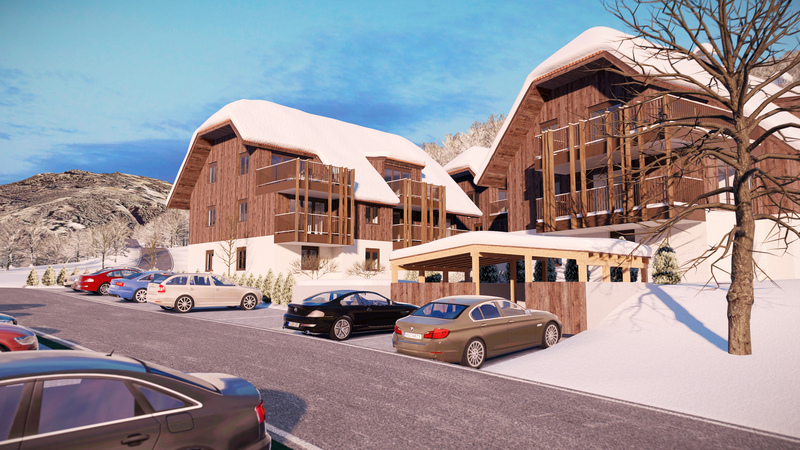 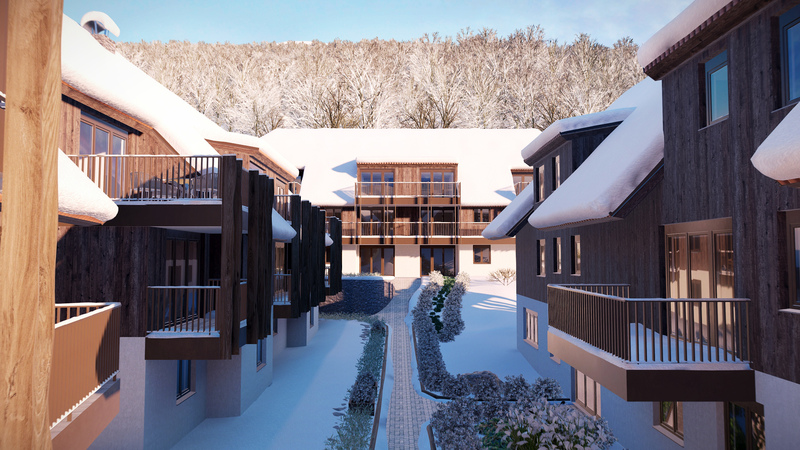 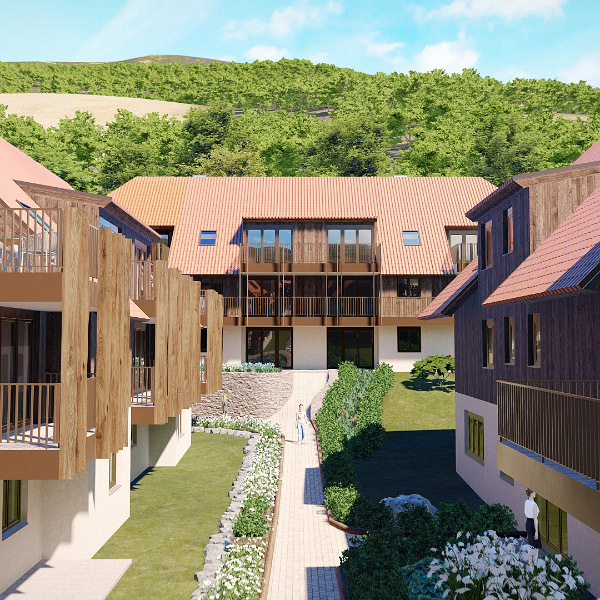 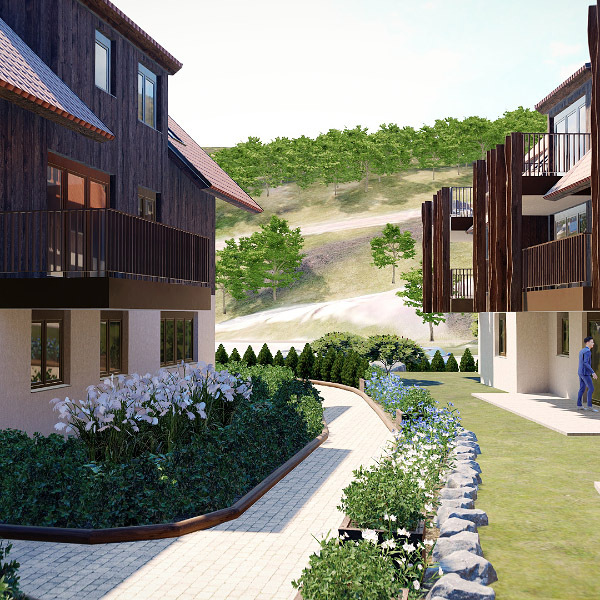 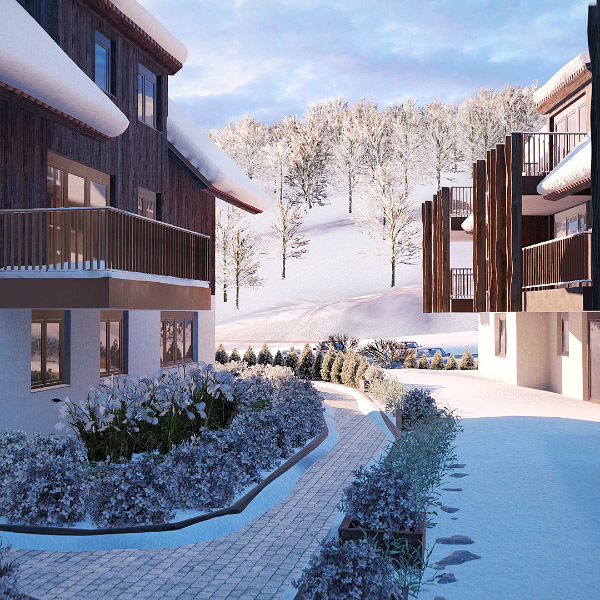 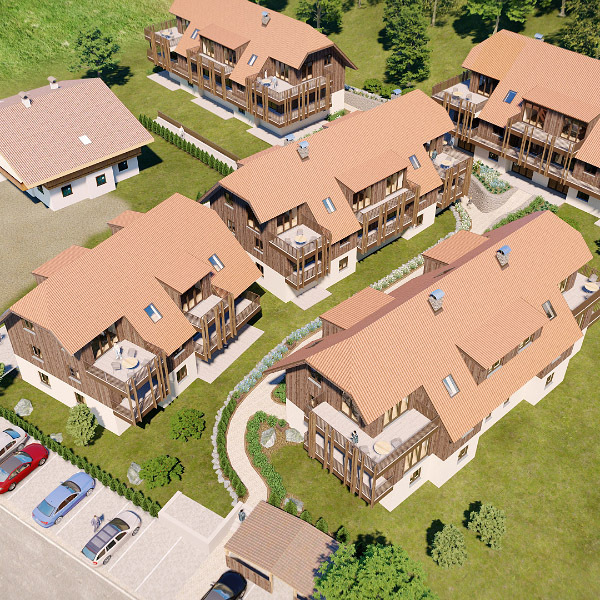 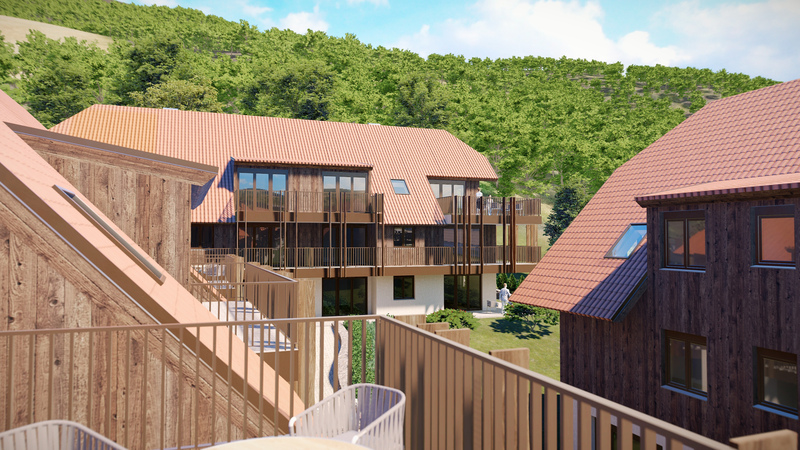 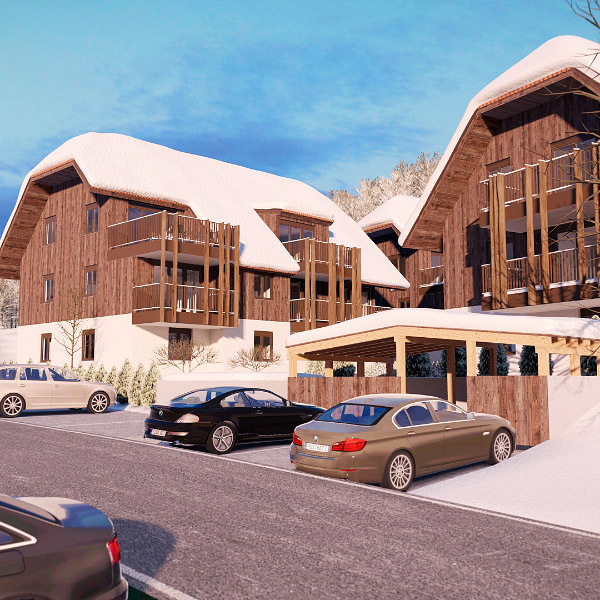 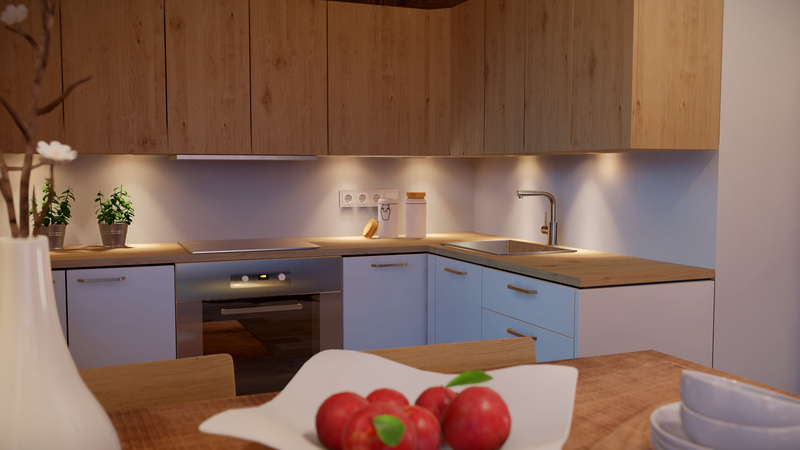 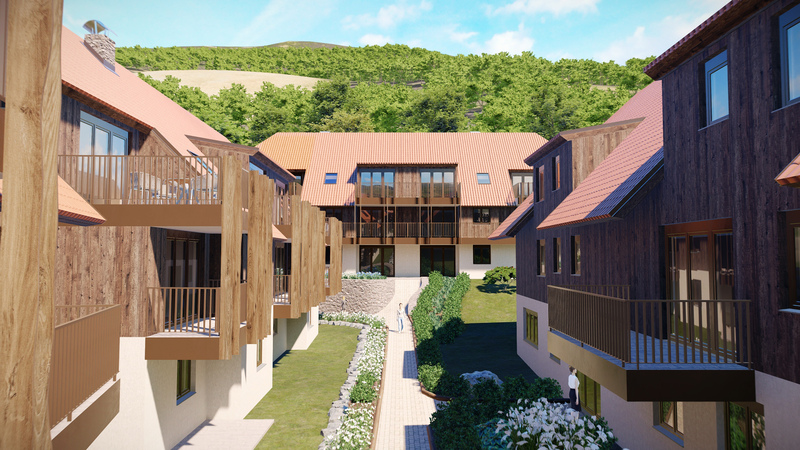 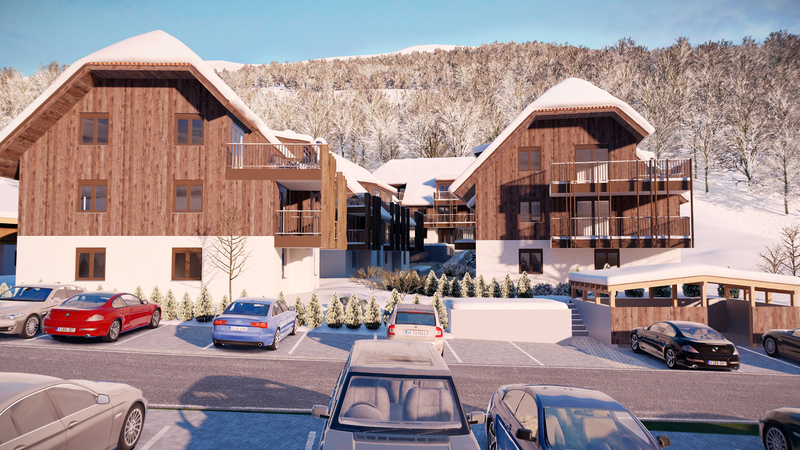 Especially the snow caps on the roof and trees gave us the opportunity to develop on our software again.After all of this was set, we started with the project of five buildings and design the model apartment.